With a population of 8.5 million, Switzerland is a relatively small country. Yet despite this and the recent challenges of the economic crisis, it boasts one of most stable economies in the world, with an impressive unemployment rate of just 2.4%. With its an excellent quality of life, high wages and low tax rates it's no surprise that the country is increasingly popular with job-seeking graduates. Known for its coffee, chocolate, cheese and cuckoo clocks, almost two-thirds of Switzerland's territory is dominated by the Alps. This beautiful scenery, coupled with the county's modern cities, provides plenty for you to explore in your free time. As it's a multilingual nation, you'll also be well placed to pick up a second or third language, which is sure to impress on your CV. Many foreign workers, especially highly-skilled ones, successfully find work in Switzerland. However, with a relatively small labour market it can be difficult for foreign graduates to find work. Competition for jobs is fierce, especially more recently as Swiss employers have begun to favour locals over international workers. International workers may have more luck in major Swiss cities such as Basel, Bern, Geneva, Lausanne and Zurich rather than in smaller, rural areas. However, living in Swiss cities is costly: Zurich and Geneva are regularly voted among the most expensive cities in the world but this should, at least partly, be counterbalanced by the country's high wages. The Swiss economy is dominated by the service sector. Switzerland also has a thriving tourism industry, with hospitality jobs available throughout the country. 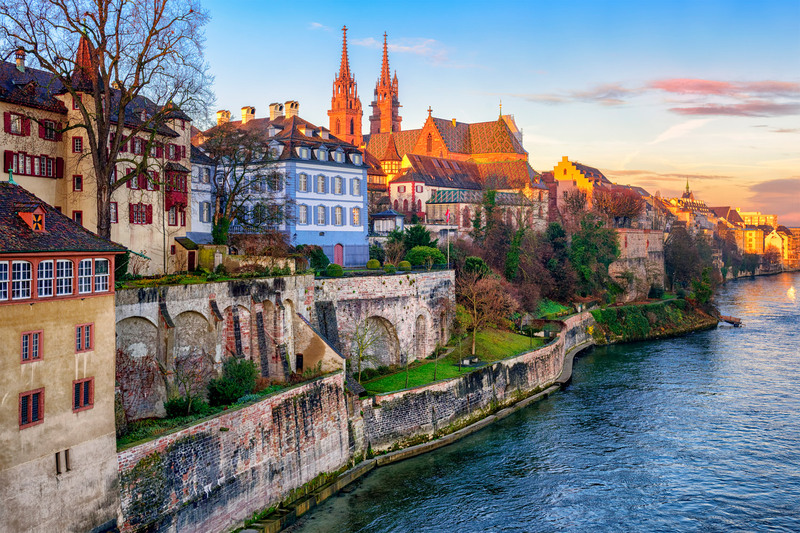 Those interested in careers in banking and insurance will likely find opportunities in Zurich, and those aiming for a career in chemicals or pharmaceuticals will find vacancies in Basel. The United Nations, World Trade Organisation, the Red Cross, the World Economic Forum and the International Olympic Committee also call Switzerland home. Jobs.ch - available in English, German and French. The hospitality industry also finds it difficult to recruit staff. Graduates with skills and qualifications in these areas are in high demand. 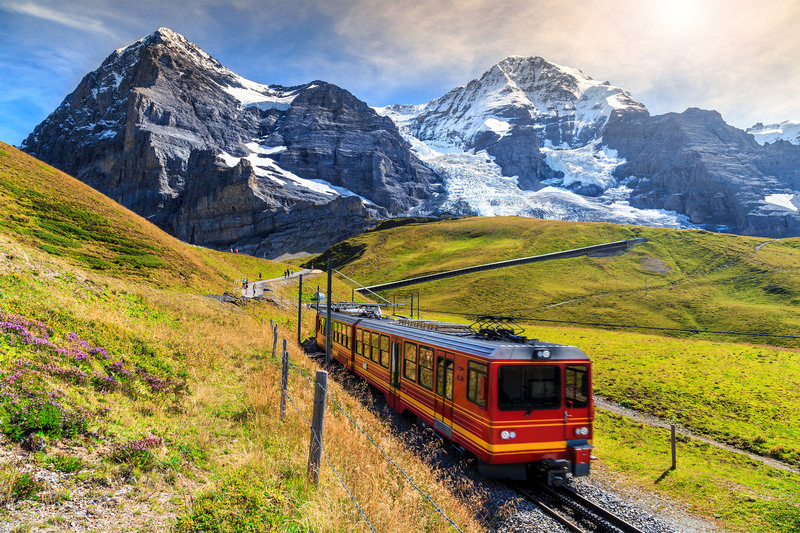 To apply for a job in Switzerland you'll need a CV, cover letter and educational certificates. You should write your application in the language of the job advert/company, be that German, French or Italian, unless specifically asked to submit your application in English. CVs should be no longer than two sides of A4 and cover letters no more than one. It isn't unusual to include a photograph alongside your CV. Speculative applications are also welcome, but you don't need to include educational transcripts or references at this stage. Make sure that you tailor your application to the specific organisation that you're applying to, and be sure to follow up your application in a couple of weeks if you haven't heard back. If your application is successful, you will be invited to attend an interview. In larger companies the selection process may involve psychometric testing and assessment centres. Networking also yields successful results, as Swiss job vacancies are often filled through contacts. Join social media sites such as LinkedIn and follow potential employers on Twitter. Be sure to maintain a professional online presence and make use of any personal contacts that you might have. As Switzerland is home to so many multinational companies, it may be possible to secure a job at an organisation in the UK, before asking to be seconded to its Swiss offices. Tourism is a big business in Switzerland and the sector provides numerous employment opportunities for Swiss nationals and foreign workers alike. The majority of seasonal and summer jobs revolve around the hospitality industry. For example, you could find work in bars, restaurants and hotels or in one of the many ski resorts in the Alps, which frequently welcome seasonal workers. You could also instruct winter sports - English-speaking ski and snowboard instructors are always in demand. Volunteering is worth considering if you can afford to work unpaid. Any experience of this nature looks great on your CV. Not only will it put your language skills to the test and help you to understand Swiss culture, it provides you with an opportunity to make valuable contacts, which will prove useful when trying to secure more permanent work in the country. Voluntary opportunities include community projects, teaching schemes and working alongside international organisations. In rural areas you could get involved in conservation projects, working in agricultural, mountain and forest settings. The demand for English teachers is usually quite low, as most nationals develop a strong understanding of the language from an early age. What's more, English is widely used in the workplace. As such, competition for teaching positions in state schools is fierce. Other opportunities may exist in private or boarding schools, or in hotel schools which offer training to hospitality employees. If you do manage to secure a teaching post, the pay is usually very good. For more information, visit i-to-i - Teach English in Switzerland. The British Council Language Assistants programme enables undergraduates and graduates of any discipline, with an AS level in French or German, to work in Switzerland as an English language assistant. You'll earn around £2,200 to £3,000 per month. As Switzerland has so many big, multinational companies you may be able to uncover internship opportunities by looking on their individual websites. SWISS, the national airline for Switzerland, provides six-month internships for Bachelors graduates in a range of corporate areas including communication, event management, finance, HR, IT, operations, sales and marketing, and procurement. Opportunities are available in Zurich, Geneva and Basel. For more information, see SWISS internships. Credit Suisse also offer full internships and summer internships in its Swiss offices. To find out more, see Credit Suisse internship opportunities. Roche providse 12-month opportunities to Bachelors, Masters and PhD students in areas such as life sciences, technology, engineering and business. Learn more at Roche internships. Each year IAESTE (the International Association for the Exchange of Students for Technical Experience) provides a range of traineeships to undergraduate students working towards a science, engineering, technology or applied arts degree. Placements usually last from six to 12 weeks over the summer. European Union (EU) and EFTA (European Free Trade Association - including Iceland, Norway and Liechtenstein) citizens do not need a visa to work in Switzerland. Citizens of EU and EFTA countries can come to Switzerland, look for a job and work for up to three months without the need for a work permit. accounting records if you intend to become self-employed. Within three months of arriving in Switzerland you must also take out valid health insurance. This visa information is still valid following the UK's decision the leave the EU and will be updated if there are any changes. If you're from outside the EU or the EFTA you will need a work visa. For more information, see ch.ch - Working in Switzerland as a foreign national. Switzerland is renowned for being a multilingual country. German, French, Italian and Romansh are all spoken in different regions. It is important to know which language is spoken in the area where you intend to work. German is the main language and is spoken in central and eastern regions. French is spoken in the west, and Italian in the south. While English is frequently spoken in the workplace, you will still be expected to have a good grasp of German, French or Italian depending on where you work. There are lots of language courses here in the UK to prepare you if your language skills aren’t up to scratch. Many good websites and downloadable podcasts also exist. Thanks to the Bologna Process, UK higher education qualifications are directly comparable to their Swiss counterparts so if you're heading to the country to work with a UK Bachelors, Masters or PhD, these will usually be recognised and accepted by Swiss employers. However, check with employers before applying. To find out more about the recognition of qualifications, see ENIC-NARIC. According to Swiss law the majority of workers can work for a maximum of 45 hours per week, although most people work a 40-hour week, Monday to Friday. All Swiss employees are entitled to at least four weeks paid holiday per year, and young people up to the age of 20 are entitled to five. The number of public holidays you're entitled to depends on where in Switzerland you live and work. There are five national public holidays and this include New Year's Day, Good Friday, Ascension Day, National Day (1 August) and Christmas Day. There are 21 regional public holidays of which your region will celebrate a handful. Discover what it's like to study in Switzerland.